HWMR is a lifestyle brand with a mantra of excellence - Black Excellence. Houston White, founder and veteran entrepreneur, uses the art of style and urban fashion to inspire pride among the diaspora. What began as an upscale barbershop in the heart of North Minneapolis, has grown into a destination for genuine culture connection. The HWMR brand is a reflection of our times, borrowing from the past yet seeking to propel the classic style of yesteryear into the future - vintage modernism. The goal of HWMR is to provide superior products with excellent service while inspiring greatness. A portion of every dollar earned goes to the HWMR Scholarship Fund for Future Entrepreneurs. Cooks, Urban Agriculture, Food Policy Advocacy, Breaking Bread Cafe, and Kindred Kitchen. 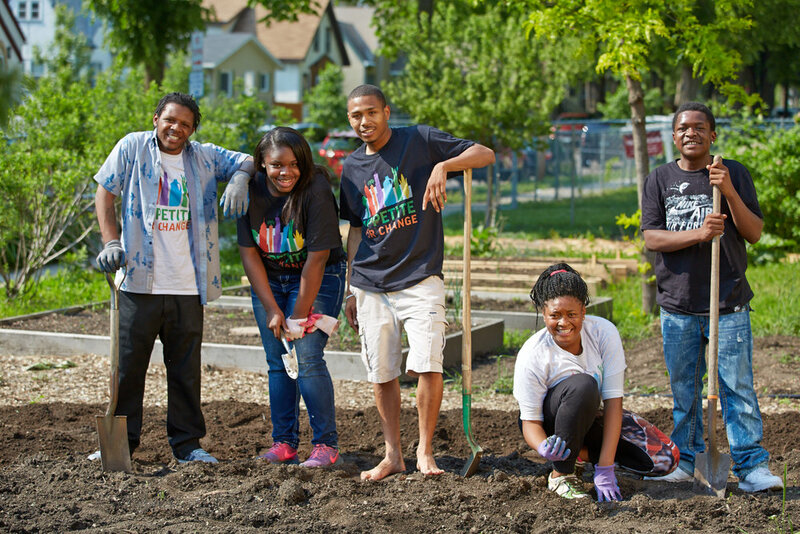 By engaging youth and adults through its workshops, collaborative gardens, leadership trainings, community meetings and classes, AFC is planting seeds of change. Birthed from the realization there was a void that needed to be filled in the creative and young professional sectors throughout the Twin Cities, New Rules is a landmark destination that brings different artistic, innovative and technological freelance groups together to remove creative barriers and become a sustainable economic catalyst. New Rules is a 4,000 sq. ft. communal marketplace located in North Minneapolis, combining co-working, retail and event space. Originally built in 1915, and redeveloped by New Rules in 2016, the space has a modern, minimal aesthetic while keeping its original historic charm.